If your child has a condition that requires intermittent catheterization, there will come a point in time when they may need to learn how to self-cath in order to gain some independence. Your occupational therapist and/or doctor will likely test your child to see if they’re ready to start cathing on their own. In general, they’ll most likely examine their hand skills, vision, and ability to follow directions. Additionally, they will ask your child to do it themselves while in the presence of a nurse or doctor to make sure they are doing it correctly. If all goes well, your child can start cathing all on their own. 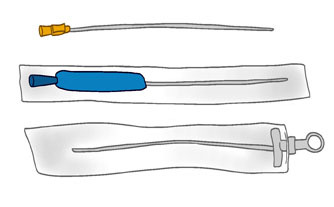 We also have some helpful tips for children and adolescents who are ready to start self-catheterization independently. Have your supplies ready to go. The first step in self-cathing is having the right equipment and supplies. Depending on the type of intermittent catheter you will be using, you may need some additional supplies on hand, such as lubricant, clean water source and soap or antiseptic wipes, sterile gloves, etc. 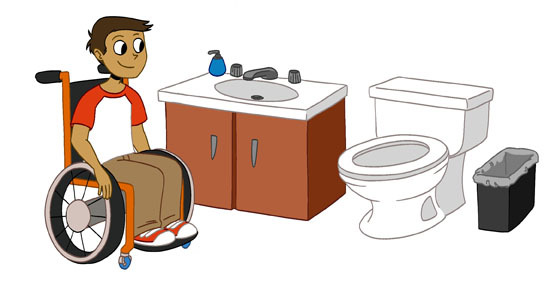 If you are not nearby a toilet, you will also need a container to store your urine until you can dispose of it. A closed system catheter or a catheter with an insertion supplies kit are both great options to keep your cathing experience sterile, discreet, and convenient, no matter where you travel. For your little ones who are heading off to school on their own, having an all-in-one kit can make a big difference. Keep the process as hygienic and sterile as possible. As discussed above, it’s helpful to use supplies that are discreet and convenient and play a big role in keeping your self-catheterization experience hygienic. Washing your hands with soap and water before cathing and wearing sterile gloves can go far in helping to reduce the risk of infection. Using a “touchless” closed system catheter with an insertion tip can also greatly reduce the risk of recurrence of UTIs. Give us a call to discuss your product options! Watch out for the signs and symptoms of UTIs (Urinary Tract Infections). Especially when you first start cathing and are still learning the process of how to properly cath, it’s important to keep an eye out for any symptoms of UTIs. Be sure to only use your catheters once and then dispose of them. If there is any pain, burning, consistent urge to void, blood in urine, or if you’re experiencing a fever, contact your doctor. Relax. It might be worrisome or even a stressful idea for some that self-cathing will be a part of one’s daily life, but just know that it does get easier with time. You might be surprised to know just how many people, even people you know, self-cath every day. Remember that if you’re tense, it may be tougher to insert your catheter. Parents, you can take a helpful role by easing your child’s fears by talking to them about cathing. Teach them to relax through various breathing techniques. Sometimes coughing can help loosen the muscles to allow an easier insertion. Remember, if you run into any pain or difficulty with inserting the catheter, don’t force it. Just call your doctor, and they can advise you best on what to do. 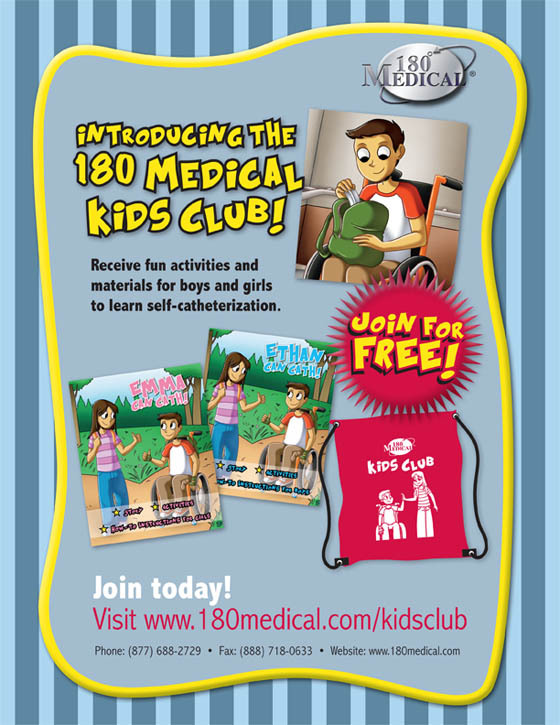 Join 180 Medical’s Kids Club. The 180 Medical Kids Club was created to ease the fears of families just like yours that have been told your child needs to catheterize. We’ll help you and your child adjust to this new way of life with one-of-a-kind educational materials and fun activities for your child. It’s as simple as a quick sign-up online! In addition, we recommend looking into our 180 Medical How To Cath DVDs, as well as our online cathing instructions. Contact us today to learn more about our resources available for your child!